Nature is the true healer. The physician is only nature’s assistant. Emotional stability – This is a miracle food! The BAC Academy Part I was held on January 18th, 2012. The 1.5 hour class was attended by well over 100 people. Many people could not attend and requested for a recording of the class. Unfortunately, the class was not recorded so I decided to write what was said as best as I could from my memory. I am publishing it here along with the supporting charts. This month I am releasing Part I, and next month Part II will be released in the same manner. The only difference is that Part II was recorded and the transcribed text will more closely match the recording. The purpose of the Academy is to take you to the next level of knowledge about BAC. I did not want to repeat any material already available in the book, DVD, and brochures. In this attempt, I think I failed, because I repeated much information that you already know. But I believe that more information will take you to a new understanding about BAC and its usages. In doing this exercise in transcription, there is an opportunity to “edit”, “add” and “omit”, and I have done so, in the hopes of improving your knowledge. The BAC Academy is intended for those of you that are already using and/or promoting the BAC products, and for those desiring to use the products. I believe in the saying “knowledge is power”. BAC capsules are expensive and the more you know about their contents and how to use them, the more benefits you will derive for yourself, your family, your friends and your clients. There is a man or woman behind every achievement and sometimes investors that support it, but in special cases, the might of a whole nation may drive an achievement where no single person could. That is how the Wall of China was built and how man was able to set foot on the moon. It is also how Dr. Kiriac was able to take BAC where no food has gone before. A quick recapitulation. Dr. Kiriac’s research started in 1975. Although he started small, with a limited budget, small-scale test farms, and few animals, his research grew to involve hundreds of test cases with many species of animals. One notable result from the early trials was that many types of cancer and other health conditions specific to each species were prevented. However, he needed to prove these results on a larger scale. To do that, the Ministry of Agriculture dedicated larger budgets and allowed for real life problem farms to be used. By 1985, they had undeniable statistical evidence that BAC worked with over 20 species and millions of livestock animals, and all that without a placebo effect to contend with. In 1986, following the Chernobyl nuclear explosion, Dr. Kiriac was able to experiment with hundreds of people affected by radiation. In his words, “many are alive today because of that experiment”. Early in 1973, when still at the Academy of Science, Dr. Kiriac began looking into algae as a solution to various health problems. 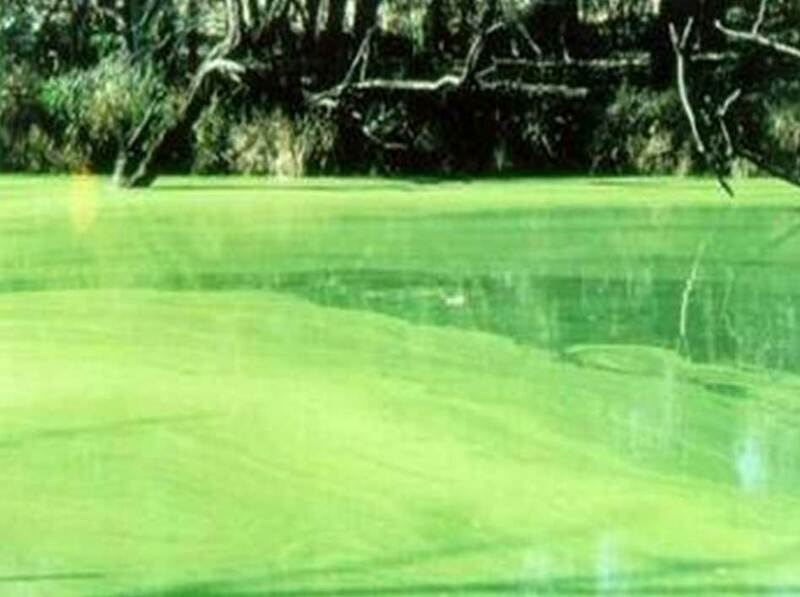 There was evidence that algae could slow the progress of cancer and increase energy and health in animals and humans. In the 15 years following his studies, he investigated hundreds of strains of algae in a formal scientific setting and had the luxury of using hundreds, thousands, and eventually millions of animals to confirm his findings. He learned early on that microalgae carry extraordinary nutritional diversity and density. Some microalgae are the most efficient producers of sunlight energy of all plants. Imagine how lonely he must have felt in 1980, 30 years ago, studying the haematococcus pluvialis red algae for its extraordinary astaxanthin content when none of his peers had even heard of it. By then, Dr. Kiriac was convinced that pharmaceuticals were not a solution to health and even that food as medicine was not enough, but as you will read next, he believed that energy derived from microalgae could be. How about “Let thy food be thy fuel”? Image 4 – How about “Let thy food be thy fuel”? 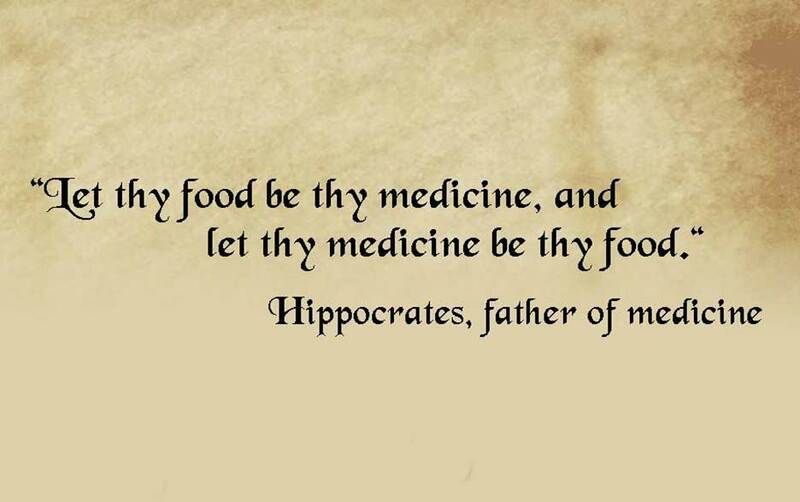 We all know the famous quote “Let thy food be thy medicine” by Hippocrates. Some say that if we truly observed it, the majority of diseases in America could be prevented. I believe the saying too, but for different reasons than what you’d expect, and that is what we are going to talk about during these classes. We are going to look at “Let thy food be thy fuel,” and ultimately “thy energy,” and for the second part “let thy energy be thy medicine.” And frankly I want to throw the word “medicine” out entirely from the quote. We will look at food and health with entirely new eyes over these sessions. We will think of medicine as our body, more precisely as the cells that make up our body. Our cells in their innate intelligence are able to grow, repair and regenerate! Your cells made you the person that you are! No “medicine” can make a hair or a skin cell! So be ready for “Let thy food be thy energy, and thy cells be thy medicine”. Image 5 depicts the metabolism of energy on mother earth. All life on Earth is dependent on the sun’s energy, and plants and other plant-like forms are the first “responders” gathering and producing food for all other forms. 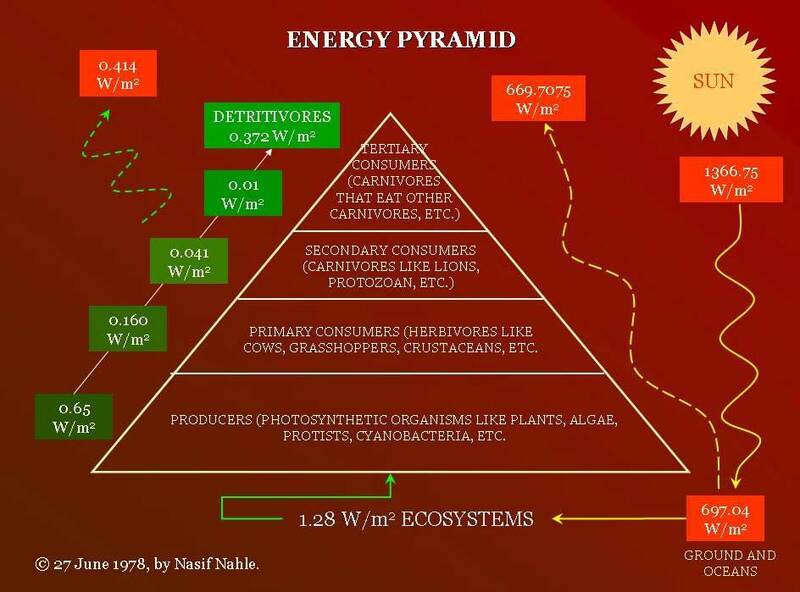 At this point, to follow more of today’s and next week’s sessions, I invite you to read about the Energy Pyramid at the Biology Cabinet. We know that some algae are the most efficient energy producers. This chart shows this information clearly, yet it is not complete or intended for a nutrition class. When investigating the different species and strains of algae you come to learn that certain species are better than others at passing on energy for animal and human consumption. Yet today, few nutritional scientists know that cyanobacteria like spirulina may transmit up to 100% of its energy to the consumer. In comparison, consuming food that is higher up the food chain may cause you to expend more energy than what you’ll get out of it. At this juncture, in order to better follow this “non medical” model, I invite you to read this primer on the science of food/energy. Energy is a vital force created by the sun’s force from carbohydrates and lipids (sugars and proteins too) so we can use those forces to produce energy. 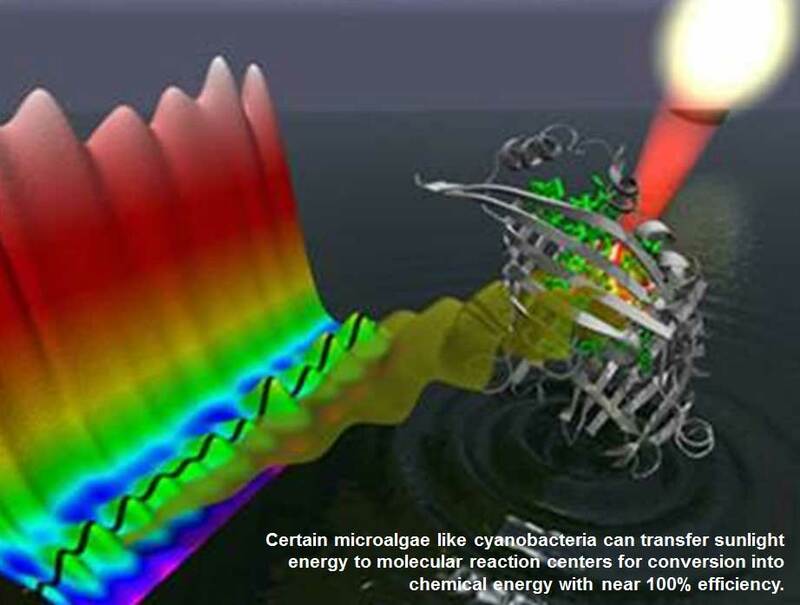 Through photosynthesis, certain microalgae like cyanobacteria are able to transfer sunlight energy to molecular reaction centers for conversion into chemical energy with near 100% efficiency. Energy from light is received somewhat directly as sunlight, but it is received in much greater amounts from our food. The chemical energy stored by photosynthesis drives biochemical reactions in nearly all living organisms. Releasing the forces of light from food requires a balanced disassembly of starches, sugars, and fats that are the bearers of light. Chlorophyll is the shepherd of light energy. In the central atom of the chlorophyll molecule is magnesium, where the sun’s light is gathered for releasing the sugars, starches, and fats from which we will eventually get our energy. Magnesium is omnipresent in the catabolic steps in which we disassemble sugars and fats in our metabolic fire : the Krebs (citric acid) cycle. 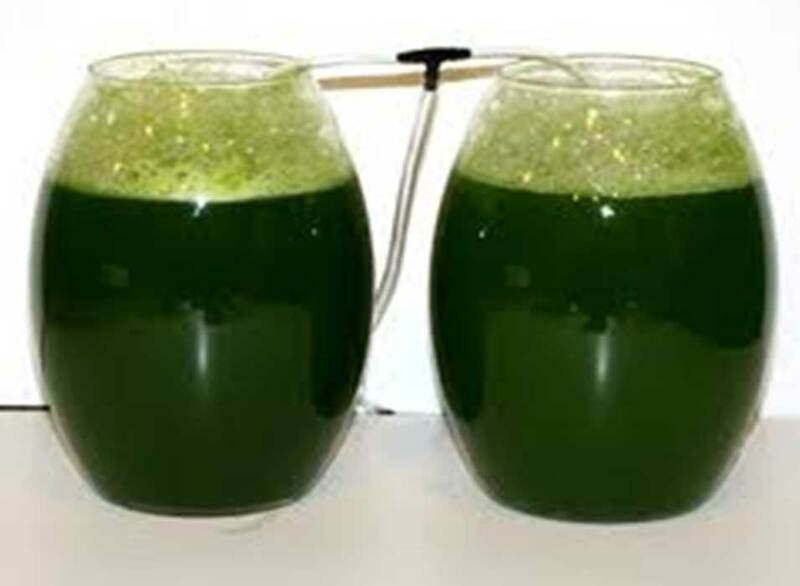 Spirulina for its complete protein and mineral values – The BAC formulas contain two species of Spirulina: Spirulina Platensis and Spirulina Pacifica. Spirulinas contain between 60 to 70% highly digestible proteins, most amino acids, vitamins A, B, C, D, E, K, thousands of enzymes, approximately 60 minerals and trace elements, and chlorophyll. It is the best source of Gamma Linolenic Acid (GLA), an essential fatty acid necessary for tissue growth and regeneration. Dunaliella Salina for its extraordinary mix of carotenoids – Under appropriate growing conditions, Dunaliella Salina can accumulate large amounts of beta-carotene and other carotenoids. Dunaliella contains carotenoids such as alpha carotene and xanthophylls including zeaxanthin, cryptoxanthin and lutein. It also accumulates very high concentrations of glycerol. Naturally mixed carotenoids found in Dunaliella Salina are among nature’s best antioxidants. 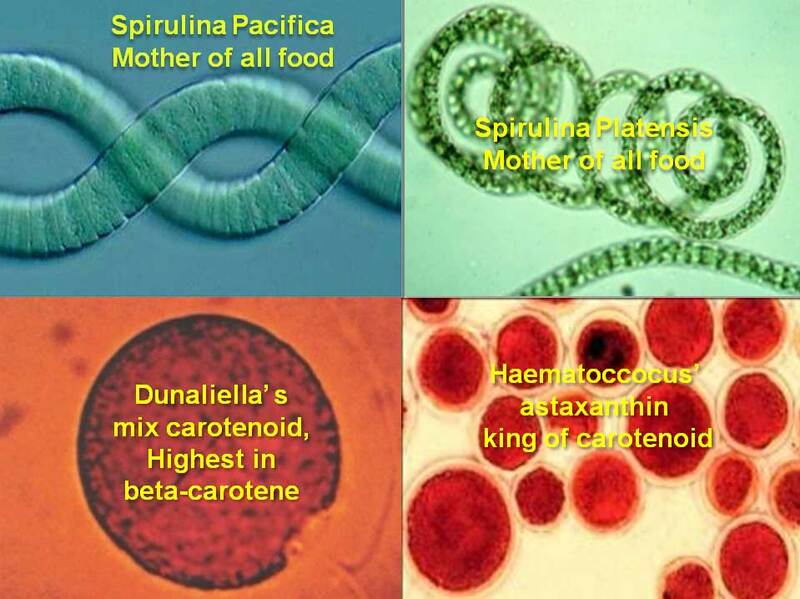 Haematococcus Pluvialis for its high astaxanthin content – Haematococcus Pluvialis is the world’s best source of astaxanthin, a unique natural carotenoid pigment and an extremely powerful biological antioxidant. Scientific literature shows that natural astaxanthin far surpasses the antioxidative benefits of vitamin C and vitamin E. Additionally, astaxanthin is able to cross the blood-brain barrier and the central nervous system better than any other antioxidant. Completeness – the state of being complete and entire; having everything that is needed. Contains thousands of algae enzymes. The largest amount known in any combination of natural whole food. Spirulina alone, for example, may contain over 2,000 enzymes. The largest amount of naturally occurring mixed carotenoids: part of the solution to preventing cancer as recommended by the American Cancer Society. Balance – the state of a bio-chemical equation in which the number, kind, electrical charges, etc., of the atoms on opposite sides are equal, and something that brings about such a state. For a food to be bio-available there are bio-chemical co-dependency requirements. Why do you think that you are told to take certain vitamins with meals? It took the research team several years to discover that spirulina, when eaten alone, is not fully bio-available for humans because it is too low in zinc and vitamin C (required in the assimilation metabolism) to fully deliver its trace elements and other nutrients. BAC contains high levels of phytonutrients! Left alone, spirulina (like chlorella and blue-green algae) is too low in antioxidant factor (ORAC) and too large in protein content (65%) to make a true perfect food. Alone, it contains too many “green pigment” nutrients and not enough of the “red pigment” phytonutrients like beta carotene, alpha carotene, licopene, lutein, etc. Synergy – The interaction of two or more agents so that their combined effect is greater than the sum of their individual effects. For example: the effect of lycopene in combination with vitamin E is greater than that of lycopene alone and/or that of vitamin E alone. The previous characteristics of completeness, availability of required co-dependent nutrients, balance, timing, etc. all contribute to optimum synergy in BAC. On the molecular stage, combining two spirulinas in BAC yields greater results. When subjected to enzymic breakdown during digestion, thousands of nutrients in BAC explode into millions of sub-nutrients that are made available to the 100 trillion cells of our body. Bioavailability – Refers to the availability of a nutrient to the body. Nutrients that are bio-available are absorbed by the organism, digested and distributed to the various parts of the body where they are required to support good health. Within 20 minutes of consuming BAC people report increased energy, digestive ease, blood sugar stabilization, better mood, etc. 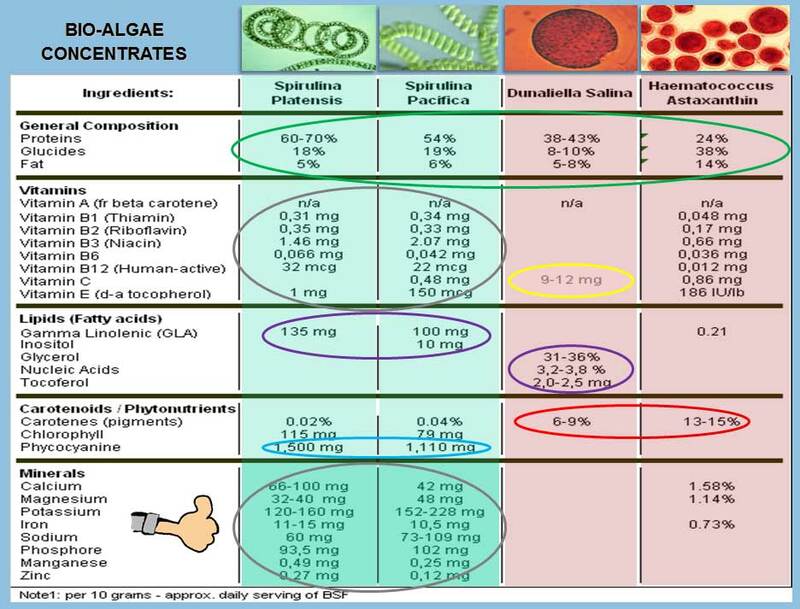 As you can see, BAC offers an incomparable range of nutraceutical advantages over any other algae. Image 9 was taken as part of a 2.5 hour documentary when Dr. Kiriac was nominated “Person of the Year” in his home country. Dr. Kiriac is shown explaining to a reporter the power of this one jar of algae. He said “this jar of algae when fed to poultry will save many truckloads of alfalfa, a prize feed for this industry.” He explains that when the poultry are fed a small amount of BAC daily, they become more efficient in assimilating, absorbing and utilizing the nutrients from their regular diet and need less feed overall. Pigments are colorful chemical compounds that reflect only certain wavelengths of visible light. This makes them appear “colorful”. Flowers, corals, and even animal and human skin contain pigments that reflect colors. More important than reflecting light is the ability of pigments to absorb certain wavelengths. Because they interact with light to absorb only certain wavelengths, pigments are useful for plants and other autotrophic organisms that make their own food using photosynthesis. In plants, algae, and cyanobacteria (blue-green algae), pigments are the means by which the energy of sunlight is captured for photosynthesis. However, since each pigment reacts with only a narrow range of the spectrum, there is usually a need to produce several kinds of pigments, each of a different color, to capture more of the sun’s energy. There are three principal classes of pigments. Chlorophylls are the most important chelates in nature. They are capable of channeling the energy of sunlight into chemical energy through the process of photosynthesis. Chlorophylls are greenish pigments that contain a porphyrin ring. This is a stable ring-shaped molecule around which electrons are free to migrate. Because the electrons move freely, the ring has the potential to gain or lose electrons easily, and thus the potential to provide energized electrons to other molecules. This is the fundamental process by which chlorophyll “captures” the energy of sunlight. Carotenoids are usually red, orange, or yellow pigments, and include the familiar compound carotene, which gives carrots their color. These compounds are composed of two small six-carbon rings connected by a “chain” of carbon atoms. As a result, they do not dissolve in water and must be attached to membranes within the cell. Carotenoids cannot transfer sunlight energy directly to the photosynthetic pathway, but must pass their absorbed energy to chlorophyll. For this reason, they are called accessory pigments. One very visible accessory pigment is fucoxanthin, the brown pigment that colors kelps and other brown algae as well as the diatoms. Phycobilins are water-soluble pigments found in the cytoplasm, or in the stroma of the chloroplast. 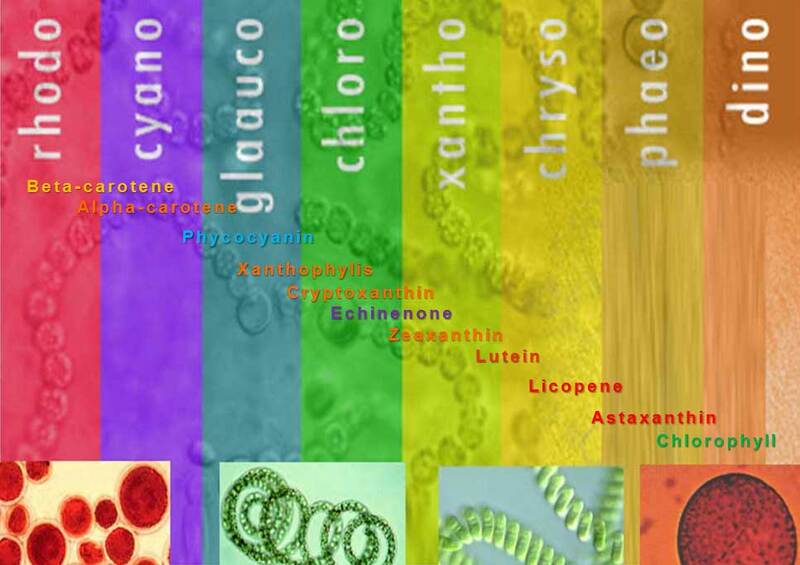 They are found only in Cyanobacteria (blue-green algae) and Rhodophyta (red algae). The bluish pigment, phycocyanin, gives the cyanobacteria (blue-green algae) their name. The reddish pigment phycoerythrin gives the red algae their common name. BAC contains both blue-green and red algae to take advantage of the extraordinary benefits of their pigments. Phycobilins are useful to the organisms that use them for soaking up light energy. Both phycocyanin and phycoerythrin fluoresce at a particular wavelength. That is, when they are exposed to strong light they absorb the light energy and release it by emitting light of a very narrow range of wavelengths. These pigments chemically bond to antibodies and hence are found to prevent the birth of tumors. The many pigments in BAC – The selection of algae in BAC makes for an extraordinary offering of pigments and resulting health benefits. Its green algae are rich in phycobilins and chlorophylls that contain high levels of magnesium for photosynthesis, and calcium spirulan, an agent known for its antibacterial, anti-fungal and anti-inflammatory benefits. BAC’s red algae, dunaliella and haematococcus, contain high levels of carotenoids and phycobilins. BAC contains astaxanthin, beta-carotene, alpha-carotene, lutein, lycopene, xeaxanthin, quercitin, b-cryptoxanthin and many other pigments that offer powerful immunity and shield against continuous pollution, toxins and stress. The algae, haematococcus pluvialis, in BAC is the best source on earth of astaxanthin, a red pigment which is clinically proven to have hundreds of times more antioxidative power than vitamin E and vitamin C, and dozens of times more than that of beta carotene as found in carrots. Carotenoids, chlorophylls and other pigments, as seen in Image 12, have the unique capacity to transfer light and its electromagnetic waves in our body due to thier molecular shape. The cancer research society recommends that we eat colorful fruits and vegetables and quote this simple rationale: “we know that their phytonutrients have cancer prevention potential”. BAC contains the best antenna chlorophylls and carotenoids like lutein, astaxanthin, lycopene, beta-carotene, alpha-carotene, and many more that our body utilizes to make the bigger thing work – these nutrients have the ability to traverse areas of the brain and eyes protected by blood barriers without toxicity. Image 13 above shows how the most powerful vehicles involved in the transfer of energy between our food and our cells are photosynthetic carotenoids like those present in BAC. This chart explains to those of us that consume even just a few capsules of BAC why we often experience a surge of energy afterwards. Here again I invite you to continue your learning about Energy Transfer and Antenna Pigments at http://plantphys.info/plant_physiology/light.shtml. 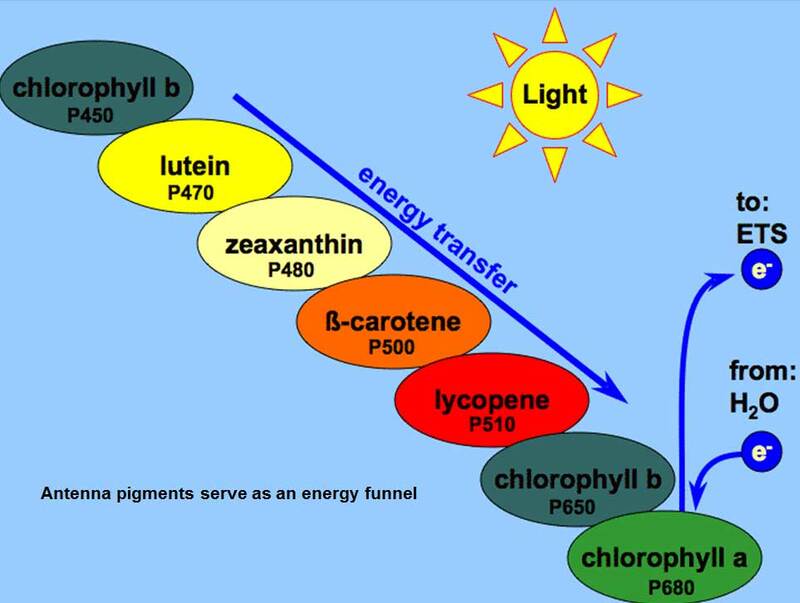 In Image 14, you can see how light energy absorbed by antenna pigment molecules like chlorophyll and beta-carotene is transferred via a chlorophyll reaction center pigment, and drives photosynthesis. 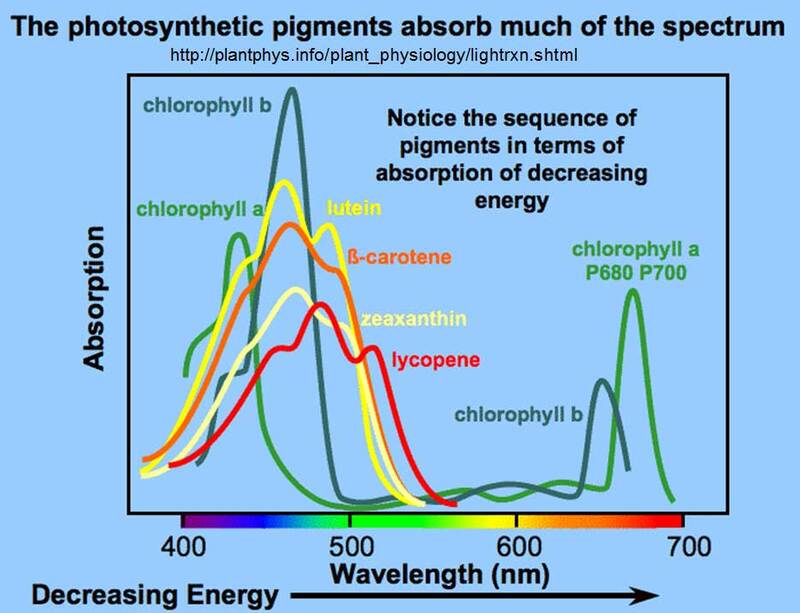 What is worth noting here is how these pigments complement the absorption of light by chlorophyll. 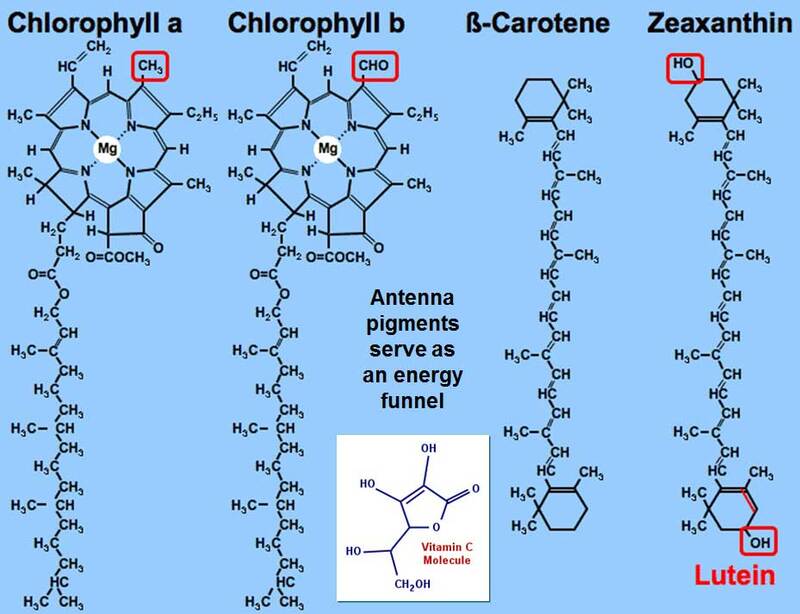 This means that plants with these antenna pigments can use the light of wavelengths that do not excite chlorophyll, and the energy absorbed by them is passed on to chlorophyll and used in photosynthesis for energy at the cellular level. BAC contains a proportioned level of astaxanthin, the star of the carotenoids. Astaxanthin is a pigment of the carotenoid complex found in the microalgae haematococcus pluvialis. It is an oxygenated pigment called a xanthophyll. Its unique molecular structure shown in Image 15 above gives it a superior transfer and antioxidant capacity. There is a substantial body of literature including in vitro studies, preclinical studies and several human clinical trials that show that Astaxanthin, with its unique molecular structure and resulting potent antioxidant activity, may be an effective therapeutic modality for a variety of conditions, including cardiovascular, immune, anti-inflammatory, and neurodegenerative disorders. Astaxanthin has been shown to inhibit lipid peroxidation at the cell level, thus protecting the cell membrane and the mitochondrial membrane within the cell. It can also cross the blood-brain barrier, which makes it available to the eyes, brain and central nervous system. This alleviates oxidative stress that contributes to ocular and neurodegenerative diseases such as glaucoma and Alzheimer’s. 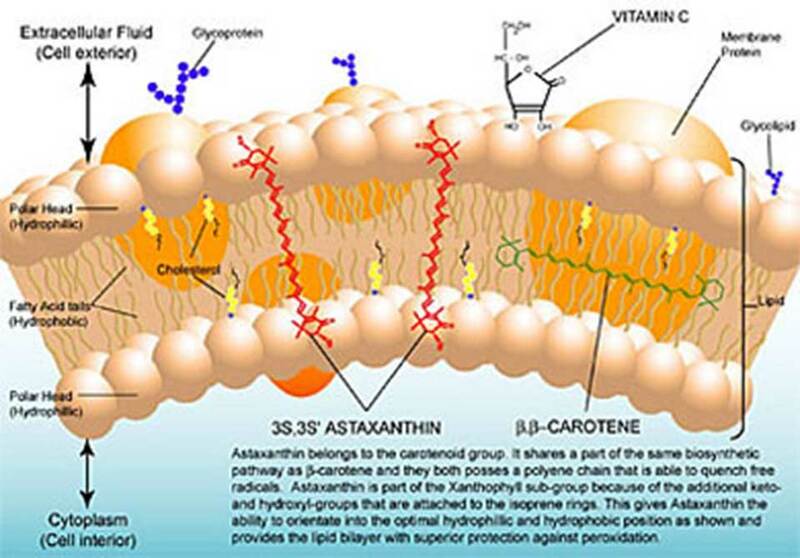 Astaxanthin has also been shown to provide significantly more antioxidant capacity than other carotenoids and antioxidants, such as beta-carotene and Vitamin E.
As seen in Image 16, astaxanthin is able to entrap free radicals by adding them to its long, double-bonded chain. Rather than donating an electron, astaxanthin stabilizes the cell membrane like a bridge, in that its polar end groups span the cell membrane, thus increasing its rigidity and mechanical strength. This also allows it to neutralize singlet and triplet oxygen generated by UVA and UVB radiation and other sources, bind to a lipoprotein, an efficient transport vehicle, making it more bio-available, and increase immune system function, including heightened production of antibody-secreting cells and Interleukin 2 and suppression of Interferon-gamma. 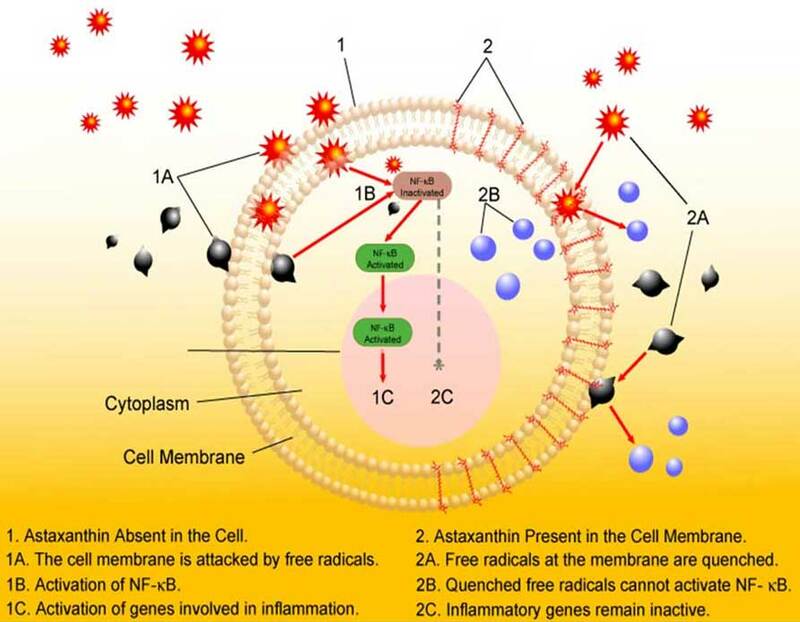 Astaxanthin spans the cell membrane bilayer and studies have shown that astaxanthin inhibits reactive oxygen species that cause inflammation, enhances the antioxidant actions of Vitamin E and Vitamin C, and encourages the release of Vitamin A from the liver when needed. Within the xanthophylls pigment family, the astaxanthin molecule contains the longest conjugated, double-bond polyene chain with both hydroxyl and carbonyl groups at each end. This configuration supports the greatest antioxidant capacity. This includes peroxyl radical chain-breaking abilities, incorporation of free radicals into the polyene chain, thereby more effectively trapping them, and the enhancement of Vitamin C as an antioxidant. While other carotenoids and antioxidants may perform one or two of these functions, astaxanthin does them all and, in most cases, does them better. In addition to entrapping free radicals, astaxanthin also de-charges singlet and triplet oxygen and inhibits reactive oxygen, giving it anti-inflammatory properties. 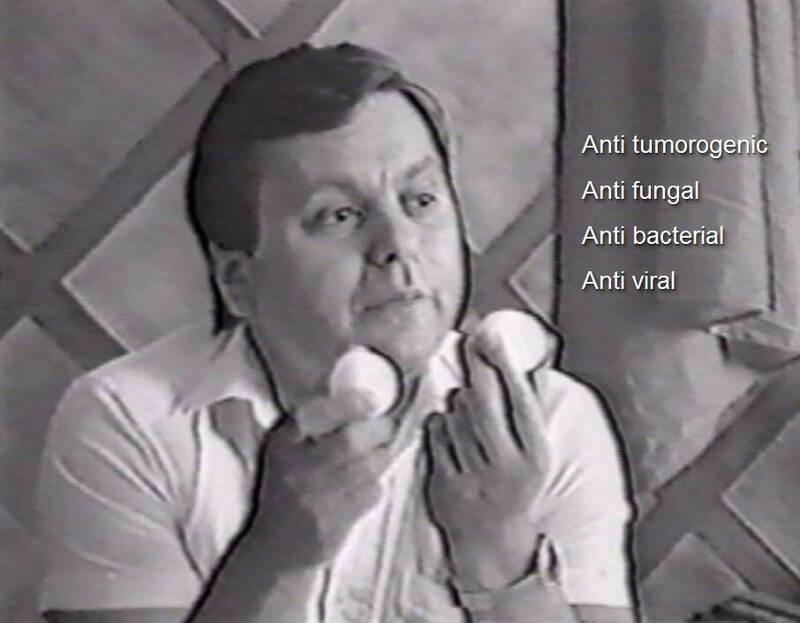 In Image 17, Dr. Kiriac explains to a reporter that even though salmonella could be present on the farm, the immune systems of the chickens are so high that he is not afraid of infection. In natural settings, the use of BAC in poultry feeds increased the viability of chickens by 3.63% to 5.45%, increased their weight between 17.06% and 23.77%, and diminished the feed cost by 13% to 15%. Other results included increased strength of the eggshells, a rise of 5.8% in egg fertilization and a rise of 3.5% to 4% in successful egg laying. The mortality rate of the chicks born to parents using BAC decreased to 1.35% from averages of 10% in the witness population. 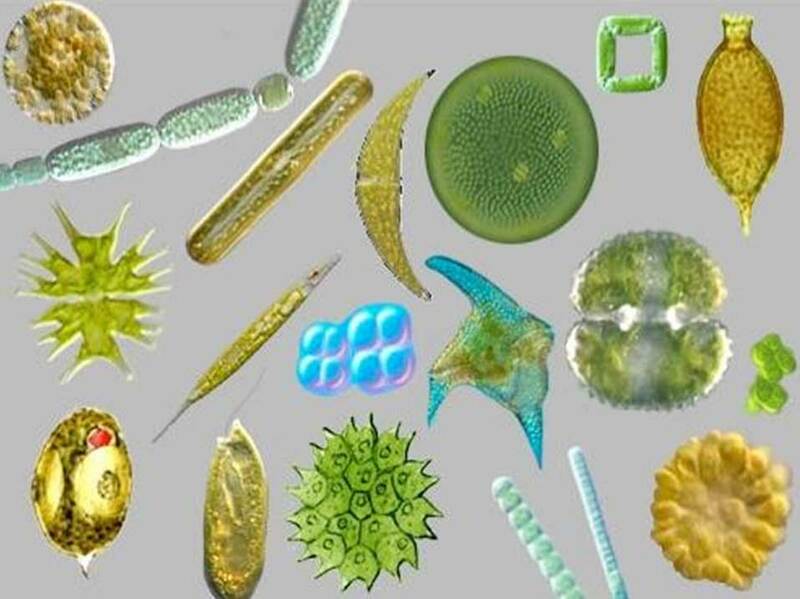 There are over 25,000 different species of algae in the world. Some are toxic but many are beneficial to all living creatures. Dr. Kiriac believes there is no natural body of water on Earth (including the Arctic and Antarctic Oceans) that is not polluted to some extent. Contamination of polychlorinated hydrocarbons (PCHC), aldrin, heptachlor, heptachlorepoxide, lindane, DDE and PCB has been found in tissues samples of Arctic seals, polar bears, polar foxes and sheep from southwest Greenland. For these reasons, Dr. Kiriac will not use algae grown in lakes, oceans or man-made lagoons in BAC. With Image 20, I want to show you the simplicity of a bioreactor. What can take place inside these simple containers, given the right conditions of temperature, minerals, and light, has the potential to grow the most nutrient dense food on earth. It was in this simple way that Dr. Kiriac began his research. Not many believed in his idea. It was only later when he was able to show results that larger budgets became available. Image 21 shows the extent of the Russian research and the advances in bioreactor technologies. These researchers were pioneers in the industry. 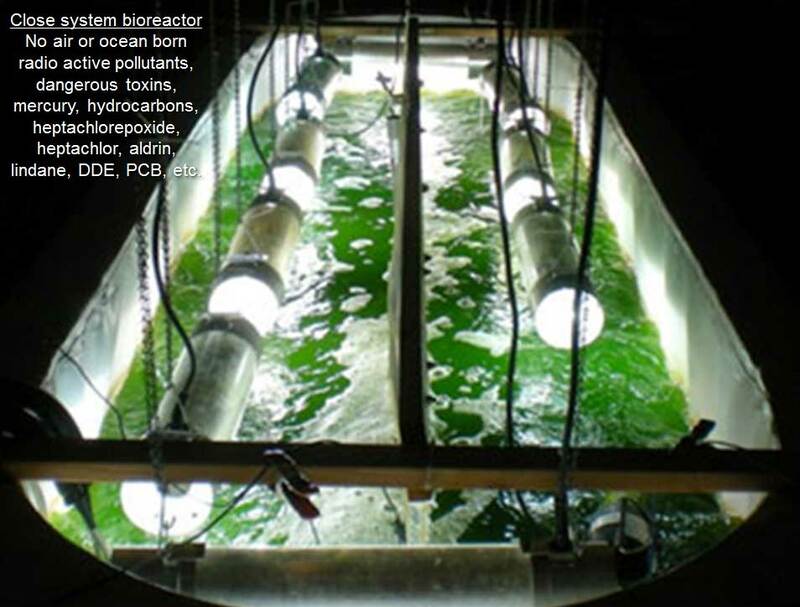 In their time, nobody had even conceived of using bioreactors of this magnitude to grow algae. Many advances in technology and growing methods were innovated during those years of research. In Image 22, the research lab and large bioreactor facility are highlighted in red. 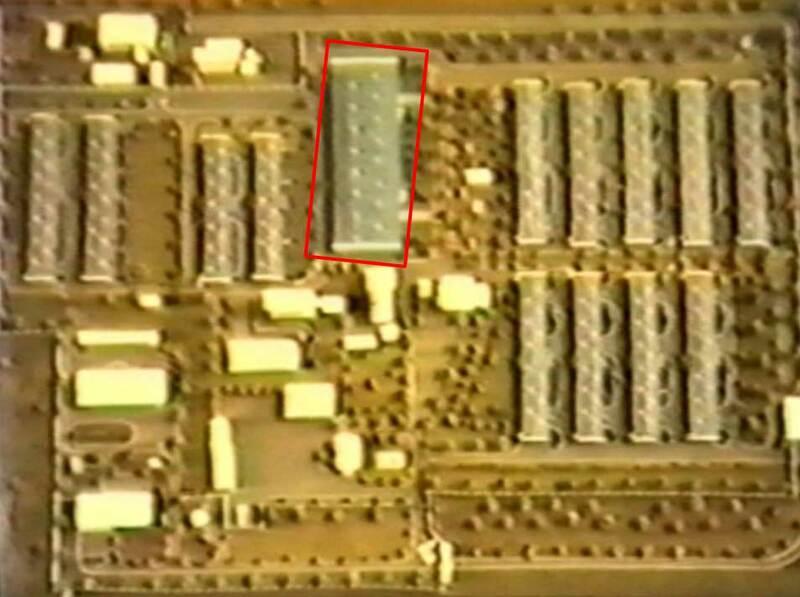 This large government-sponsored facility and bioreactor complex served as the principal research center for many years. 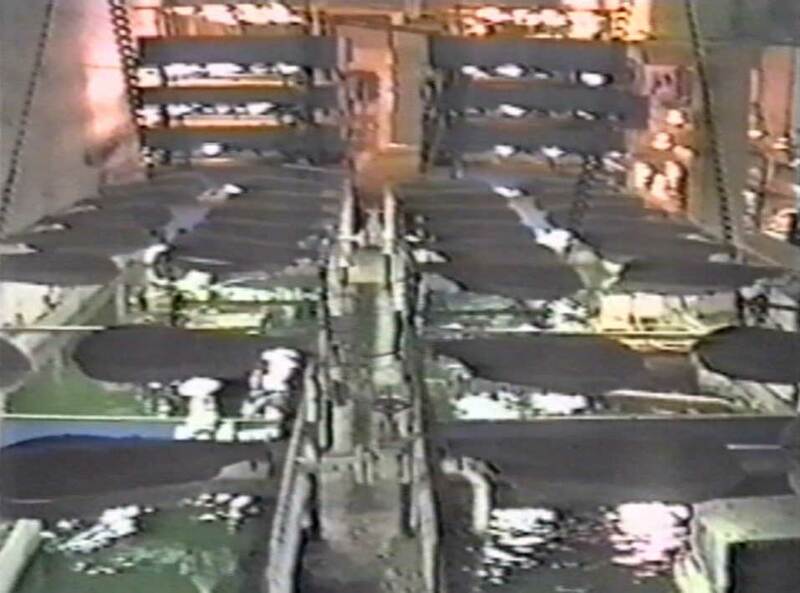 This facility housed over 1 million egg-laying chickens. This farm was chosen because it was affected with an epidemic of Marek cancer and low productivity. 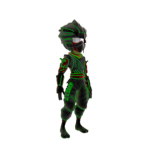 Within the first year of using BAC, the cancer was eradicated and the population grew to 1.5 million after only two years. The overall productivity on this farm increased by 20%. In 1986, after the Chernobyl explosion, to ensure the strictest quality and to maintain full control over the growing environment, Dr. Kiriac chose to move his research to northern Russia. There, he grew his algae in smaller enclosed bioreactor systems far away from pollution, and used volcanic mineral rich thermals as his only source of nutrients. 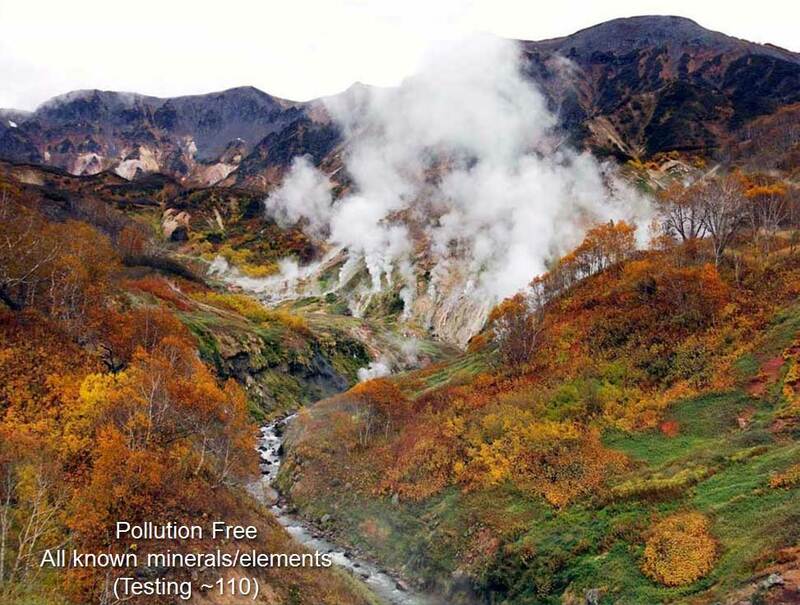 This innovation allowed protection from lake and airborne pollutants such as radioactivity, fish and bird excrements, mercury, PCB, and even UV damage, while the thermals provided the broadest amount of known minerals and trace elements on earth. The algae in BAC are grown without the use of synthetic fertilizers, pesticides, herbicides and without antibiotics, growth hormones, preservatives or additives of any sort. In image 24, we see the progress towards simpler and smaller technology. Like many other advances in technology, smaller is better. This more nimble type of bioreactor still protects from thousands of airborne pollutants, storms, waves, and other seasonal disturbances, while allowing perfect and constant application of light, turbulence, and temperature. 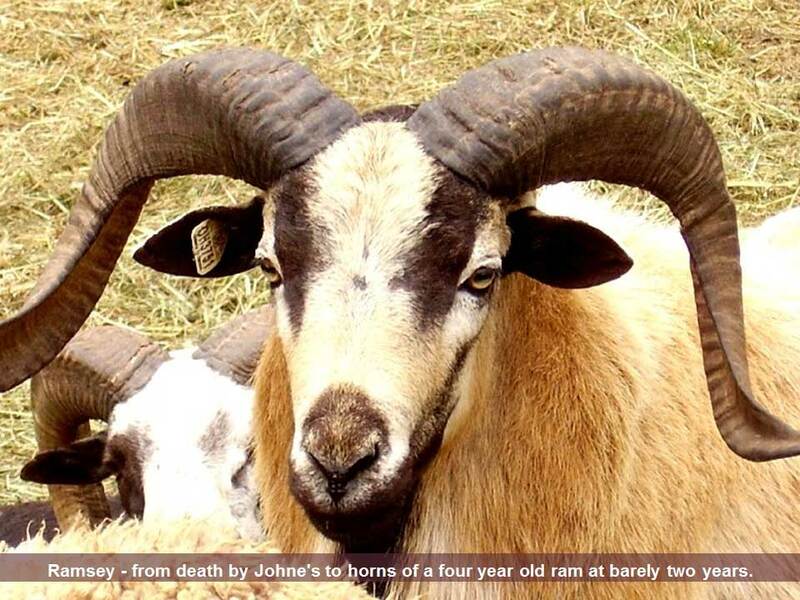 In October 2007 we began a study in cooperation with Merri, the owner of a herd of 35 bighorn sheep that were destined to die from Johne’s disease. 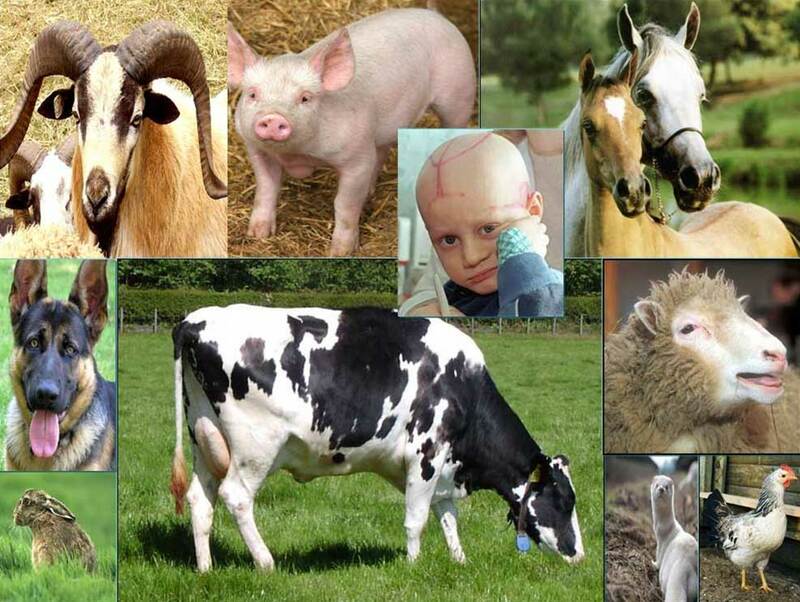 This disease usually kills most of the animals in the herd by the time they reach 2 years of age. BAC is being evaluated in regards to its effect on 12 sheep selected amongst the herd of 35 affected sheep. Johne’s disease (pronounced yonee’s) is a disease characterized by wasting and terminally, by diarrhea. It is caused by the Mycobacterium avium subspecies paratuberculosis. At the start of the evaluation, the herd was already being decimated by Johne’s and the veterinarian had recommended euthanizing the entire herd. Often once a herd is affected, there is no other solution. “We began BIOSUPERFOOD about 4 months ago. 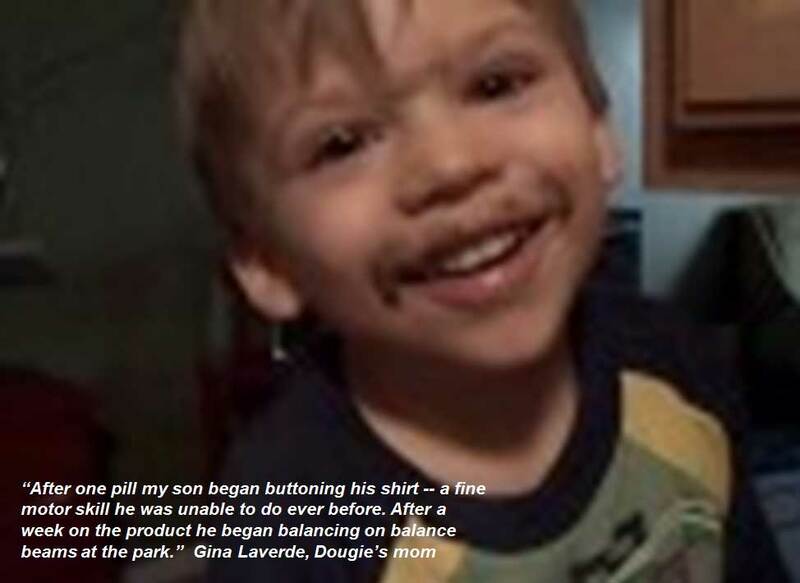 After one pill my son began buttoning his shirt — a fine motor skill he was unable to do ever before. After a week on the product he began balancing on balance beams at the park. I wanted to show with Image 28 an alternative to the supplementation model, which you will agree is similar to the medical model, “provide a pill for a symptom”. As a young yoga student, I had learned that eating well, exercising and cleansing would be sufficient for a long and healthy life. But as life would have it, I deviated from the path and at forty I found myself in trouble. I was plagued with recurring low back pain, chronic tendonitis in my right knee, the beginnings of a weight issue, sleepiness, frequent sinusitis, and the annual colds and flus. From Mr. Granola, my journey into the supplements arena began in 1984 with a well-intended suggestion by an MD to take 400IU of Vitamin E daily for the rest of my life to prevent joint issues, cardiovascular problems and even cancer. Even though I got no tangible results from consuming all those supplements, somehow I became Mr. Supplement, reading articles, learning about the latest products, and taking them on as part of my new regimen. Looking for a solution to my pains and trying not to grow older, I searched for the best, and that is how I ended up taking over 20 supplements daily by age 48. Yet 14 years and 25 bottles into it, my problems were only getting worse. I met Michael Kiriac in 1998, and later when he said to me “Roland, you know so much about nutrients and supplements, why don’t you try taking a few capsules of BAC?” Speaking with Michael about this, I knew then that I was lost in the world of separates and isolates. In this instant, my faith in nature that I had put aside for so long came back. 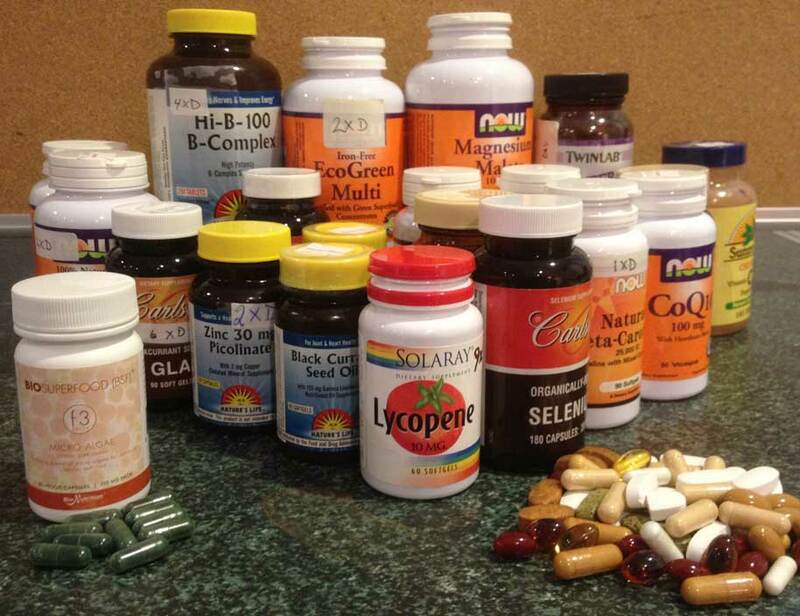 As many of you know, I stopped taking all my supplements in 2000 after my talk with Dr. Kiriac. Since then I have taken nothing but BAC daily as a complement to my diet. It was easy for me because I could already tell that BAC was something special from the way my body responded on the first night. Within the days and weeks that followed, my back pain and tendonitis literally melted away. My low energy turned into high energy and mental focus. I began running and completed four marathons within eighteen months of starting to eat BAC. I went quasi overnight from being unable to sit two hours in a chair, to sitting all day without thinking of my back… in my experience, my back is healthier than when I was 20. There are so many details to my progress that I could write a book about it. To sum it up, I truly believe that my entire biochemistry and resultantly my whole life has changed for the better due to my consumption of BAC. As spectacular as my story is, it is nowhere near as dramatic as that of many of my clients that have recovered from much more severe conditions.